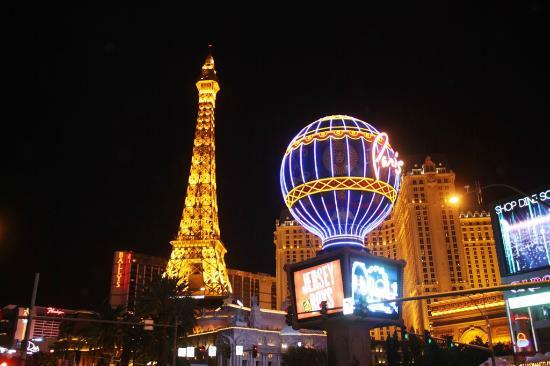 Las Vegas: the city of sins, money, gambling, women and a whole lot of fun that you just might regret the following day. But we’re not the ones to burst your bubble from the beginning; as the famous Latin saying goes, Carpe diem! While the world-famous hotels and casinos, particularly the ones located on the Las Vegas Strip, are some of the most common attractions of the city, you should know that there are many more ways to have an incredible experience while on vacation there. We have searched for the best activities you can enjoy while in “Sin City,” so check out our top 8 crazy and fun things to do in Las Vegas below! What can be more romantic and spontaneous than getting hitched in Vegas? This city is especially famous for being the hot spot for young couples who want to elope. Why not make it a memorable experience? There are no less than 48 (!) 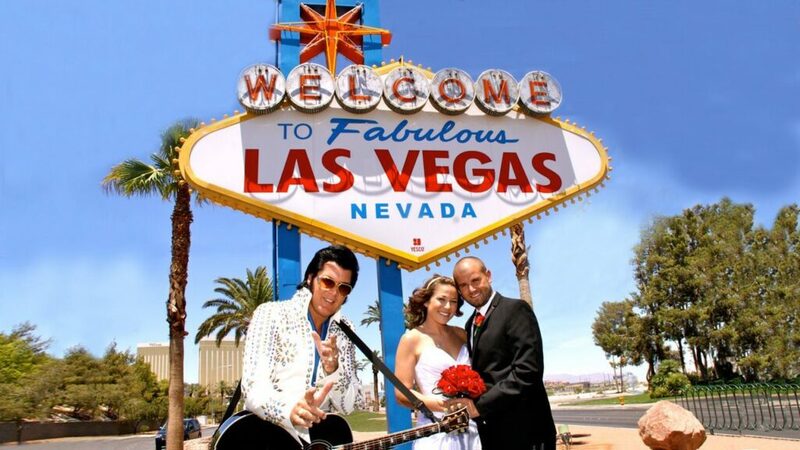 wedding chapels available on the official Las Vegas website, which range from elegant environments to drive-thru weddings, LBGTQ wedding ceremonies, weddings hosted by Elvis lookalikes and even intergalactic-themed ones. Talk about variety! So, if you’re crazy in love and you’re in Vegas, make sure you tie the knot in one of the famous wedding chapels! 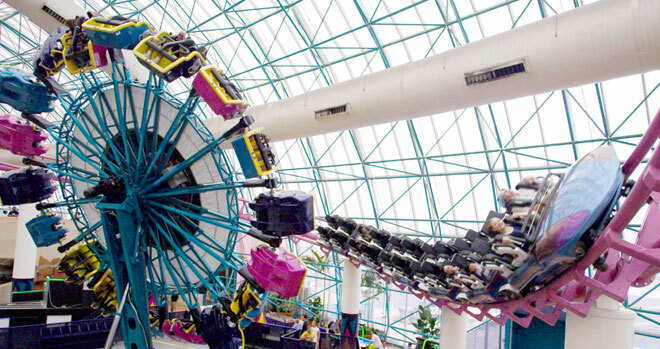 Many people know that The Adventuredome, also known as the Circus Circus theme park, is one of the largest indoor amusement parks out there, with multiple awards and positive reviews from virtually anyone who has gone there. It doesn’t matter if you’re a child, teenager or a full-grown adult, the Adventuredome experience will definitely be one of the most fun while in Vegas. They have many coasters, large, junior and family rides, and you get the best deal with an All Day Pass (only $29.95). Believe me when I say that the Adventuredome Theme Park is worth every cent! Yes, you heard us right. In Vegas, you can not only swim with dolphins, but you can paint with them! The Mirage has recently released a “Painting with the Dolphins” program, which provides 30 incredible minutes of collaborating with a dolphin for a gorgeous watercolor painting! The participant gets to take a picture while painting with the dolphin, and they also have the chance to take the original work of art home. This is certainly one of the unique activities you can experience while in Vegas, so you ought to give it a shot! 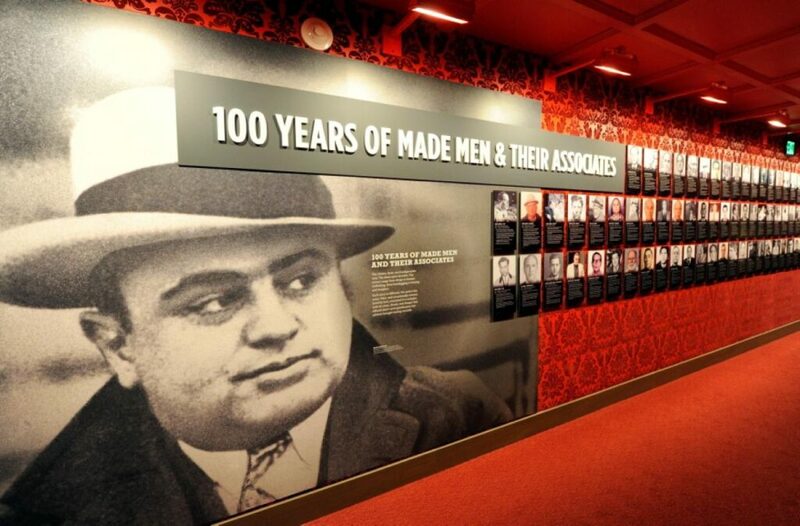 “As far back as I can remember, I always wanted to be a gangster.” Well, now you have the chance to travel back in time and discover exciting mafia stories at the Mob Museum, formerly known as the National Museum of Organized Crime and Law Enforcement. The experience is both fun and accurate, as the Mob Museum staff contains historians, former police officers, experts and even former FBI agents. You will not only indulge in real stories about the history of the Mob and its impact on Las Vegas, but you will also be able to admire over 800 artifacts, impressive exhibits, and state-of-the-art presentations. The Mob Museum isn’t the only ultra-cool museum you can visit while in Vegas. 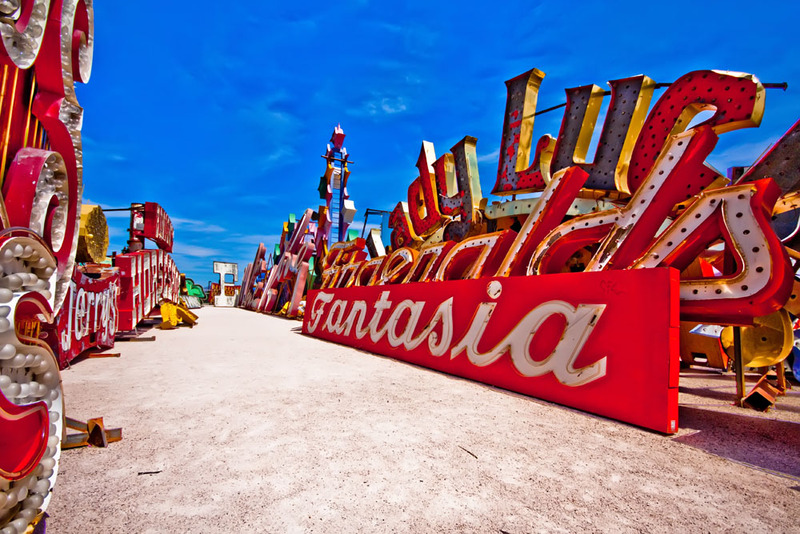 The Neon Museum houses iconic neon signs from the history of Las Vegas, structured in the Neon Boneyard North Gallery (where you can get married as well), the Neon Boneyard (outdoor exhibition) and a center for visitors located in the old La Concha Motel. You can visit the museum through a one-hour guided tour and find out amazing facts about the lighted history of Sin City. Bungee jumping itself is probably one of the craziest and most fun experiences you could ever have in a lifetime. If you carry it out in Las Vegas from the tallest freestanding observation tower in America? 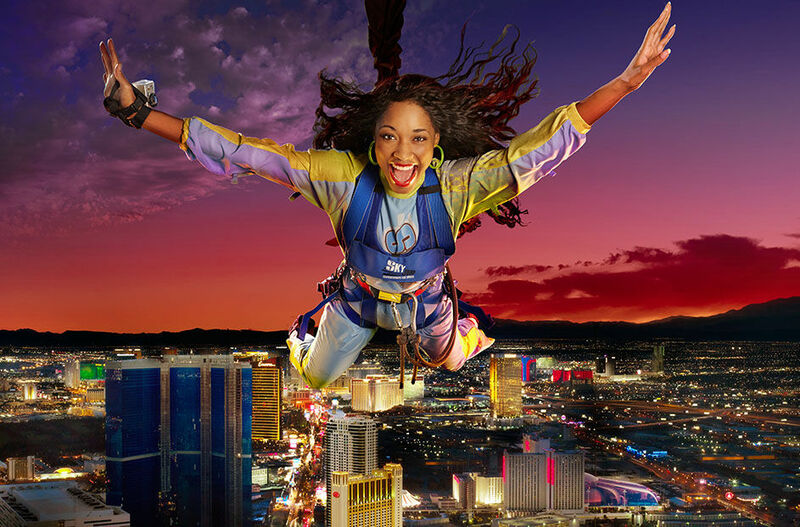 Yes, in Vegas you can go bungee jumping off the Stratosphere Tower, via the SkyJump program. Thanks to the highest sky jump in the world and the only one that exists in North America, you will be jumping from the 108th floor of the tower. That means having an 855 feet adrenaline rush towards the Las Vegas Strip. Do you have what it takes? Now, this activity is just as exciting as it sounds. The What Women Want Pass offers the ultimate experience for ladies while staying in Vegas, which includes “skip-the-line” VIP access to clubs, a super combination of stripper 101, cocktail and show classes and choosing between Marc Savard Comedy Hypnosis or Chippendales! If you’re planning on getting married in Vegas, this is the perfect chance to gather your lovely bachelorettes and party wild before settling down! So the ladies have everything covered with the What Women Want Card, but what about all the club rockers looking for an unforgettable night in the most exclusive clubs in Sin City? That is exactly why the V Card: the Las Vegas Nightclub Pass has been created. You will not only benefit from VIP access to the ultimate clubs and parties in Las Vegas (like Rehab, TAO, The View or Body English), but you will also enjoy skip-the-line entry to some of the most glamorous lounges and night clubs in the city. This one pass will provide an entire night of partying like there’s no tomorrow. Yes, you can enjoy Las Vegas without breaking the bank! In fact, there are plenty of things you can do and places you can visit even with a tight budget. Check out some of them below. Note that this is not one of those typical thrill rides at amusement parks that will send you screaming to the top of your lungs. 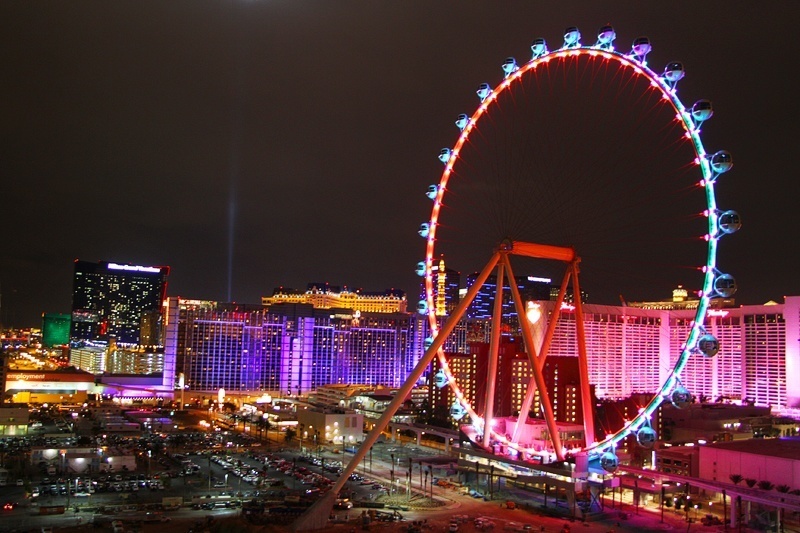 Although, the view from this 550 feet tall ferris wheel will surely take your breath away as you get a bird’s-eye view of the Las Vegas strip. If you brought your kids with you, they can ride it for free! Although the Grand Canyon is a popular attraction among tourists who are visiting Las Vegas, there is an alternative destination that’s waiting for you just a few miles away from the city. Take a 17-mile drive going west from the strip to reach the Red Rock Canyon where you can hike or drive while enjoying the unique wildlife and rock formations in the area. If you want some adrenaline in your Las Vegas trip, ride the Slotzilla Zipline. Glide 7 stories above and across the Fremont Street while the crowd below cheer you on. If you want a $5 discount, come by before 6 PM. Although the Eiffel Tower in Vegas is a half-scale replica of the real thing, the experience it offers is nothing short of breathtaking. The glass elevator that will take you to the 50th floor is just one thing; the panoramic view of the Vegas Strip from up top is a whole new experience that will surely leave you in awe. Go under the sea with is 1.6 million gallon aquarium in Mandalay Bay where more than a hundred sharks and over 2,000 marine animals are waiting for you. This awesome place also has a walk-through tunnel and a sunken ship that only makes the entire experience even more exciting. If you’re traveling to Las Vegas with kids, this place should be at the top of your itinerary. You might think that visiting an art gallery in Vegas is expensive. Well, you thought wrong. 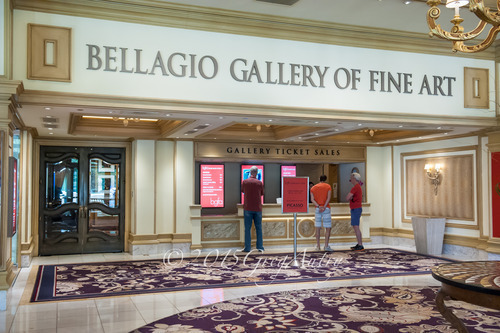 Aside from the Bellagio fountains, The Bellagio also holds an art exhibit that features world-class artworks from private collections and prominent museums. If you’re a fan of such display, come by the gallery during your day trip or date night with someone special. No matter what day you’re coming to Vegas, you can go see the famous fountains of Bellagio. A daily show that features a total of 1,200 fountains will amaze you with their spectacular performance as they dance to some of the most famous beats in the music industry. Here’s one more attraction from Bellagio that you can also visit for free. The interesting part is, the place features a different scenery every season with each of them using thousands of different flowers, trees, and decors. In fact, every display is planned a year ahead, that’s how big the preparation is. Did you know that you can watch Cirque du Soleil’s Mystère rehearsal for free? Yes, you can watch them live and up-close as they prepare for the night’s performance. If you don’t have tickets or simply can’t make it to the show, at least you get a sneak peek of what they do behind the scenes. If you want to see the largest gold nugget in the world, you’ve come to the right place. The Golden Nugget houses a 61-pound gold that is put on display at the casino for the curious public to see. Aside from its size, what makes this nugget so controversial is the fact that it is largest gold nugget ever discovered only by a hand-held metal detector. Do you want to try your luck on a slot machine without spending anything? Good news! There is at least two free slot machine pulls at the Fremont Street Casinos where you can get the chance to win up to $2,500 cash. So, if you’re running out of budget while in Vegas, you can do some pulls here and hope for the best. Vegas will never run out of fun things to do. The Fremont Street Experience is one of the best Downtown Las Vegas attractions that you don’t want to miss. 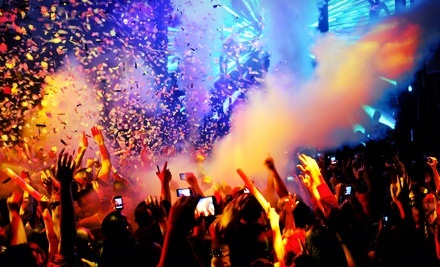 If you want to experience how Vegas party on a free live concert, this is the place to be. Check their entertainment schedule to see who’s playing when. Right at the main entrance of The Mirage resort and casino in Las Vegas Boulevard is yet another spectacular show like no other. Spectators can come by every night to witness a well-simulated eruption of a volcano in the middle of the city. There’s no lava though, but everything else–fire, smoke, steam–are real. We all have to eat, eventually. So, it just as important to know where you can dine or grab some best drinks in Vegas. We’ve chosen the downtown area since this is the central business district of the city. Touring can be tiring and hunger-inducing. While downtown Las Vegas buffets are affordable, they are not particularly known for being impressively delicious. So, a safer choice would be any of these restaurants. If you’re in for a quick brunch, lunch, or dinner, this restaurant at Fremont Street got you covered. Mac n’ cheese balls, cowboy burger, skirt steak with grilled broccolini, and bourbon barrel cake are only some of the things you can find in the menu. An affordable, delicious, and historical dining experience–that’s what this pizza joint is about as it pays tribute to the infamous Evel Knievel. They serve New York-style pizza, baked-to-order pies, American beers, craft beers, and a lot more. Perhaps the ultimate downtown diner, Siegel’s 1941 offers guests with a long list of food choices for breakfast, lunch, dinner, and even a quick late night snack. So, whether you’re visiting alone, with your significant other, or with your family, you’ll surely find something gastronomically enjoyable in this restaurant. The Pinches Tacos is here to “save you from fake-sican food.” The place takes pride of using only top quality ingredients and for being a favorite Mexican food chain of Hollywood celebrities. That said, you should probably give their menu a taste test to prove those claims yourself. Vegans, unite! This community-based restaurant dishes out global street food with a vegan twist. In fact, their menu is filled with 100% plant-based food, even their ice cream. On top of that, they source their ingredients from local farms, community gardens, and school garden programs. What a good way to serve good food! You’ll never run out of bars in Vegas. But, in the downtown area, here are some of our favorites and could be yours too. Dubbed as the longest bar in Nevada, the Longbar is one place you should visit at least once during your stay in Vegas. It offers guests nine beers on tap while watching a game on their 60-inch TV or playing on their personal multi-game playing machines. After a long day of touring around Vegas, you might want to end your night at a cozy and low-key bar to grab some drinks and just hang out. In that case, The Griffin is your best bet. The interesting part is, the bar has both a live DJ and a jukebox. The warm and laid-back ambiance in The Griffin is perfect for a cool and casual night with friends. The Gold Spike is another great place to spend your bar night with friends because it’s not like any other bar in Vegas. It features some of the most exciting games to play with friends like the life-sized beer pong and chess, giant Jenga, ping-pong, and shuffleboard. On top of that, guests can also dance and sing along to some live music every Thursday through Sunday. The Commonwealth is a 6,000-square-foot cocktail bar, featuring a pre-Prohibition era interior, drinks, and speakeasy. The latter, by the way, requires a reservation and only serves cocktails. However, the rest of the bar is nothing short to exquisite–from the ambiance, the drinks, even the bartenders. These are just a few of the crazy and fun things you can do in Las Vegas. The entire list would be truly long, including Shooting Ranges, Swimming with Sharks, Hershey’s Chocolate World, The National Atomic Testing Museum and even taking a real Scorpion Shot at Nacho Daddy. If those aren’t enough, you can take your trip to the next level and go skydiving indoors with Vegas Indoor Skydiving or outdoors with Skydive Las Vegas. Bottom line is, if you have the chance, you must visit Vegas at least once in your life. And never forget the saying that defines the surreal city better than anything else: What happens in Vegas stays in Vegas! Photo credits: Jamesb.com, Sbe.com, Expedia.com, Blog.vegas.com, Vegas4visitors.com, Nydailynews.com, Stratospherehotel.com, Justvegasdeals.com, Corlaci.com.